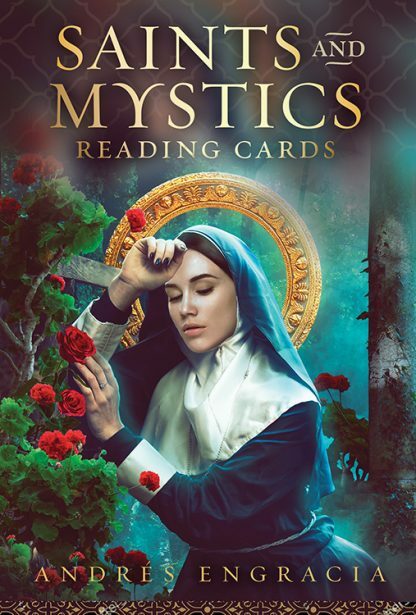 The beautifully illustrated 36-card deck brings to life the stories and mystical knowledge of some of history’s most fascinating spiritual and mystical figures. From St. Anthony to St. Theresa, Aristotle to Dion Fortune to William Blake, each card presents inspiring men and women along with ways to connect to their great wisdom and eternal spirits. Andrés Engracia is a psychic medium who connects with his blended Spanish-Mexican ancestry of clairvoyant psychics and brujas to bring unique cultural and mystical practices to his work. Naturally drawn to art, photography, science, and social anthropology from an early age, Andrés has studied various forms of metaphysical practices and now devotes his time conducting workshops on spiritual, shamanic, and intuitive development.